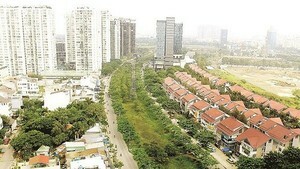 The forum ‘Social Impact Business (SIB) Model’, recently held by Seed Planter (a unit to improve personal skills and an incubation center for startups) in RMIT University (District 7 of Ho Chi Minh City), demonstrated that startup activities of the young in Vietnam are focusing on more sustainable and humane values in the community. Young people are learning about the new business model in the forum ‘Social Impact Business Model’. Mr. Hoang Tuan Anh, Head of the forum’s organization board and co-founder of Seed Planter, defined that an SIB model applies commercial strategies as a sustainable approach to address social and environmental challenges. These businesses can operate under various forms to maximize positive social impacts alongside economic profits. According to Ms. Nguyen Thi Thanh Mai from Ingo Fablab Saigon Organization, an SIB to tackle social problems makes good use of circular economy to create social effects, especially in the environment field. Therefore, participating in this forum, young people or enterprises are able to exchange their experience on running a high-value agricultural business, following a green lifestyle and consumerism, offering job opportunities or startup activities for handicapped people, beginning an SIB. Participants are put in the role of an SIB leader to propose practical ideas for solving current social problems. From this experience, they are better aware of the feasibility of forming an SIB, which is a signal of sustainable commerce in the future. Statistics from the forum show that SIBs account for 4 percent of the private business sector, 70 percent of which are making real profits from their activities. Job openings, healthy lifestyle, and environment protection are the three prominent social effects that an SIB can create. One attractive creation introduced in this forum was straws made from Lepironia articulata, a product by Le Van Tien from the southern province of Long An. He develops a manufacturing procedure for straws that last more than 2 weeks. This new product is now widely used in several restaurants and hotels in Vietnam. Another interesting introduction in this event came from Vu Anh Tu and Germ Doornbos, founders of Noir and Blanc restaurant, sited in District 1 of Ho Chi Minh City. This restaurant provides jobs for deaf and blind people. In a ‘Noir’ or black environment of the restaurant, diners cannot see anything, tremendously boosting their senses of smell and taste. Visitors here are offered a better chance to directly communicate with others via talks since smart devices are instructed to be left outside the dining room. This innovative restaurant model offer handicapped people a chance to be more self-confident and to master their own life through their earnings and abilities. These two ideas are excellent examples of a circular economy, where natural resource waste as well as pollution are eliminated. Products and materials in this economy are circulated in order to regenerate the natural ecosystem while minimizing the use of limited resources and the release of CO2. This is the sustainability and humanity features that SIBs aim at. 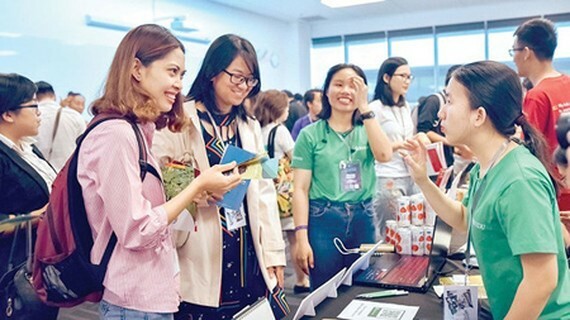 Experts commented that to foster the growth of SIBs in Vietnam, there must be a financial method for SIBs to easily approach capital sources, a boost in connections between SIBs and other kinds of enterprise. Simultaneously, a specific network for these SIBs must be formed soon. The forum attracted nearly 300 people, along with 20 speakers and 15 businesses.